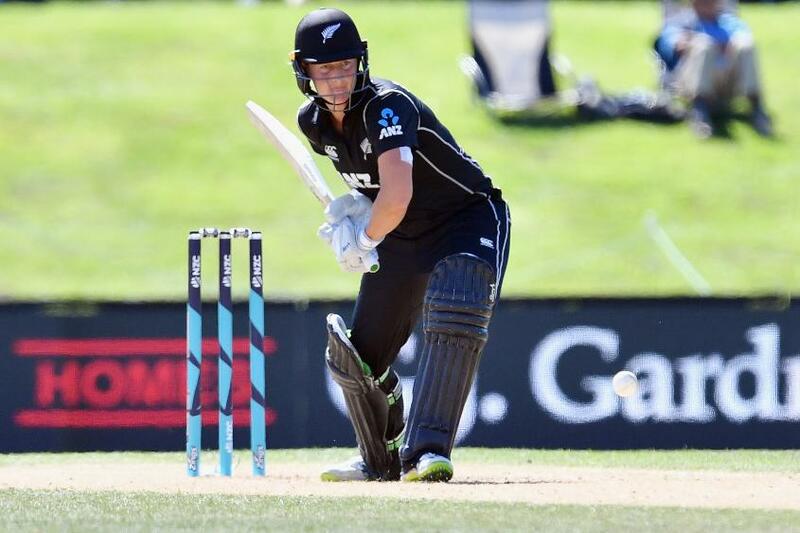 Veteran's unbeaten 58-ball 73 and 3/24 help home side beat Windies by 205 runs in Christchurch. 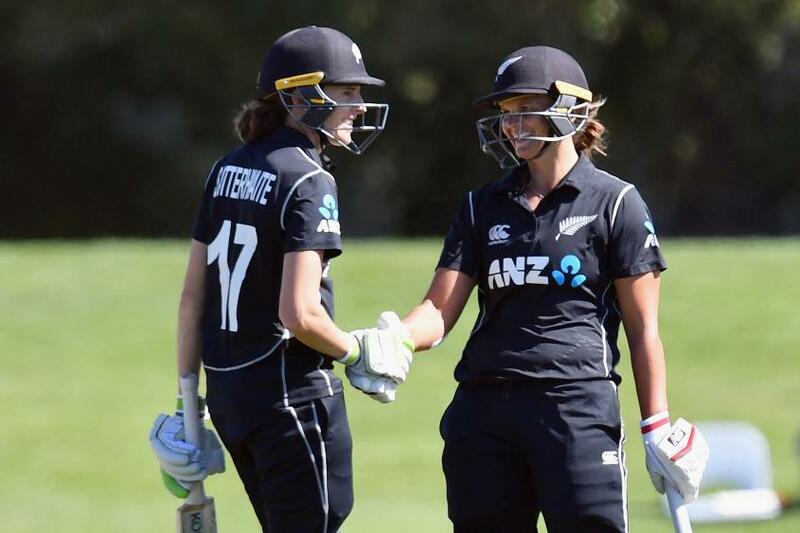 Half-centuries from Suzie Bates, Amy Satterthwaite and Sophie Devine, followed by a splendid bowling performance, helped New Zealand beat Windies by 205 runs in the third one-day international of the ICC Women’s Championship in Christchurch on Sunday. New Zealand posted an imposing 310/5 before their bowlers dismissed Windies for just 105 to sweep the series 3-0. Chasing a mammoth target, Windies lost Kycia Knight, the opener, as early as in the third over for a duck, and when Holly Huddleston got rid of Hayley Matthews and Stafanie Taylor, the Windies captain, the visitors were left stuttering at 43/3 in the 11th over. Matthews had scored a 20-ball 11 before her fall in the seventh over, while Taylor, who tried to hold the innings together, walked back for a run-a-ball 26. The wickets started to fall at an alarming rate as New Zealand’s bowlers chipped away with regular strikes. The Windies middle order attempted to fight, but New Zealand were relentless – Deandra Dottin (15 in 28), Kyshona Knight (12 in 30) and Merissa Aguilleira (5 in 13) together added just 32 runs. Leigh Kasperek accounted for Dottin, while Kyshona and Aguilleira became Hannah Rowe's victims. Britney Cooper's 40-ball stay at the crease ended when Devine trapped her in front of the stumps for 17. No major contribution came from the rest of the line-up and Devine wrapped up the Windies innings in 34.5 overs, finishing with figures of 3/24. Rowe and Huddleston bagged two wickets apiece. Earlier, Lauren Down’s lean form in ODIs continued, with the opener falling for just 3 in the fifth over. However, New Zealand powered back. From 16/1, Bates and Satterthwaite added 151 runs, taking the total to 167 before Satterthwaite was run out by Akeira Peters for an 81-ball 69. Bates followed suit two overs later as Shamilia Connell cleaned her up for a 97-ball 89. The skipper fell 11 runs short of a century, but she reached a milestone anyway – 4000 ODI runs. The two batters provided New Zealand a strong foundation, and Devine carried on from there. Katey Martin contributed a 29-ball 24 before Dottin bowled her, and Maddy Green (3) didn’t last long, but Anna Peterson then got together with Devine to boost the total past 300, adding an unbroken 63 runs for the sixth wicket. Devine’s unbeaten 73 came in just 58 deliveries, a blistering knock that included six fours, while Martin was unbeaten on a 21-ball 27.